Beautiful, contemporary reception desks that are designed perfectly to receive people. They are a definite striking point for being 'received' and greeted by. 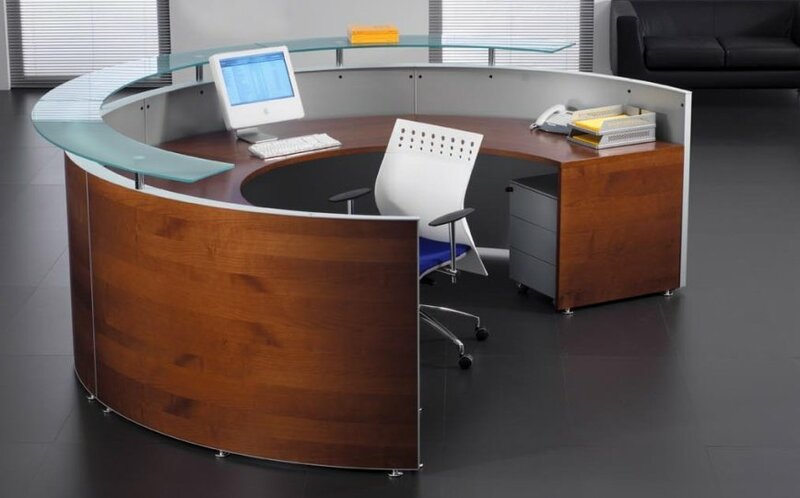 They are available in an extensive choice of colours giving you plenty of choice for your office. The modular components that are available allows for the desk to be built and designed and laid out the way you would like it. The modules come in different shapes and designs, again giving you plenty of options. There is definitely a desk that is right for you in this section!